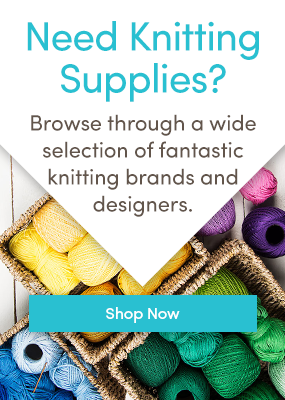 I remember my first interview here at LoveKnitting – I wanted to wear something handknitted, but I didn’t want to look like I was deliberately wearing something handknitted (know what I mean?) so the night before, I knitted myself a bag. I love a little knitted clutch bag! It’s important to knit with a robust stitch, and better still, line it for stability: I have used moss stitch, my most favourite stitch of all time, and it really brings out the tones in a variegated yarn as well as creating a fabulous texture. Row 1: k1, p1 to end. Row 2: p1, k1 to end – this forms moss stitch where you “purl the knits and knit the purls” to create alternating little purl bumps. Fold the bottom third up, and sew the seams together to make an envelope shape, and fold the top third down. Embellish with a button or a knitted flower! Love this little pattern You can use different yarns to make each look different and even combine yarns. I have many ideas for this. I would also add a large snap to secure it and/or add a loop to the button.